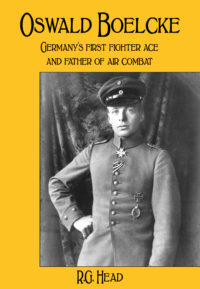 Oswald Boelcke was Germany’s first ace in World War One with a total of forty victories. 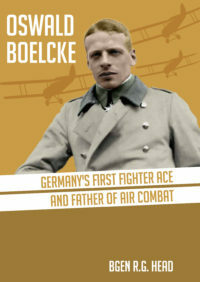 His character, inspirational leadership, organisational genius, development of air-to-air tactics and impact on aerial doctrine are all reasons why Boelcke remains an important figure in the history of air warfare. In this definitive biography RG Head explores why Oswald Boelcke deserves consideration as the most important fighter pilot of the 20th century and beyond; but also for setting the standard in military aviation flying. This book will appeal to enthusiasts of the German air force, military aviation in general and World War One in particular.